Inflatable paddle boards (iSUPs) are a choice for many because of their portability and their compactness. They allow for a number of different ways to get them from place to place. Whether you are heading to the beach, a nearby lake or even overseas, here are some tips to transporting your iSUP. There is no need to use the roof rack if you do not want to do any heavy lifting. Transporting your SUP in the trunk is one of the most popular ways to get it around. Most often, your SUP will come with a backpack travel bag, which should be able to fit into the trunk of most average sized vehicles. Your trunk should also have the capacity for your pump and paddle accessories as well. If you want everyone to know you are going paddle boarding or if you do not have space in your trunk you can used the roof rack of your vehicle. If you already have a roof rack in place, you can simply tie the board to it. You can add some insulation between the board and the vehicle for longer rides if necessary to protect both the board and the vehicle. You can find pipe insulation in your nearest hardware store and it is inexpensive. If you do not have roof rack but still need to transport your SUP on the roof your car you have three options. Foam blocks can be used to serve as a temporary roof rack. They are inexpensive, can easily be attached with nylon straps to the roof, and can be easily removed as well. They are not as durable as an actual roof rack but it does the job. An inflatable roof rack can also be used. These are great if you have rented a car that does not have a roof rack and you do not want the added stress of foam blocks. With this you just inflate, attach to the car and go. You can always just place your SUP on the roof of your car. Just tie it down securely and you are good to go. You can find something to provide some protection to your car and your board, maybe a towel or something of the sort. This will help reduce the incidence of scratching your roof or your board. This may not be the best option for long distances though so you want to bear that in mind. Also, only do this if it is necessary and you have no other option and ensure that your board is attached securely to the vehicle so you do not put other motorists at risk of it falling off during transit. 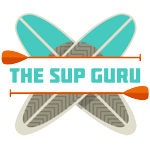 If you need to bring your SUP on an airplane all you need to do is place the board in its carry bag and check it in as a piece of luggage. Ensure that you tape the loose straps around the bag so they are not caught in anything at the airport and get torn. If you deem it necessary, you can purchase a large tote and place your SUP in there to protect its carry bag as well. If your transportation is via bike or your lake is just a mere walk away, then you can easily just pop your carry bag on your back and off you go. Depending on the walking distance, you might also opt to inflate your board at home and then carry it under your arm so that you can leave your pump and accessories at home. There are many ways to transport an iSUP and no excuses for not getting out there and using your board! If lack of skill is your stumbling block, check out these tips that will have you paddle boarding like a pro in no time!